It’s been awhile since we last taught you about an American holiday. I was reminded at how fun it was after trading tweets with Zees this week I remembered all her amazing letters explaining the Jewish holidays to you. SOOOO guess what… today is another special day in the states we like to call President’s Day! Yes, it’s another day (most) of us get off from work to lazy around or hit up the sales or stay out late the night before. In my case I went to San Francisco, the drove back to LA and just got in from a night cutting a rug at our favorite local place. We gotta celebrate staying out late on a Sunday when we can. So what’s this holiday about you ask… though President’s day is celebrated on or around George Washington’s (our very first President) birthday it’s actually close to many other presidential birthdays (most notably Abraham Lincoln’s) and is really more of a celebration of the office of the Presidency. It’s a federal holiday which means all government offices, post offices and banks are closed. So since we can’t open checking accounts or get new driver’s licenses we head to the shops or the car dealers for their big sales. Mostly to help jump start spending after the Christmas holidays these sales just co-opt our government’s highest position for a couple extra bucks and sales on toasters and Corolla’s. As you know, most of our holidays revolve about food, namely barbeque’s in the summer where we can eat tons of hot dogs and light stuff on fire! 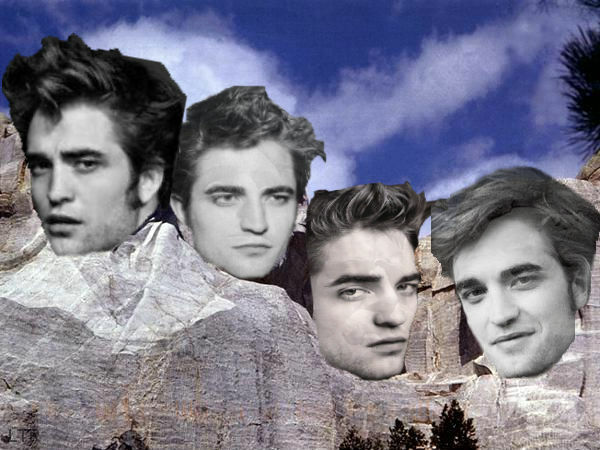 President’s Day is not that kind of holiday, there are no fireworks and no bbq-ed meat products but we love it just the same because it means we get a day off and that means more time to devote to stuff like making manips like Mount Robmore up there. Cause who doesn’t wish that South Dakota actually had a huge stone monument with Rob faces carved into it instead of the influential Presidents that Mount Rushmore now pays tribute to. Forget pilgrimages to Forks, we’d all be running to Keystone, South Dakota to drink a heini and gaze on it’s wonder and beauty. Who wants to see Mount Rushmore blasted and a new Mount Robmore in it’s place? Any plans for President’s Day for those in the states? 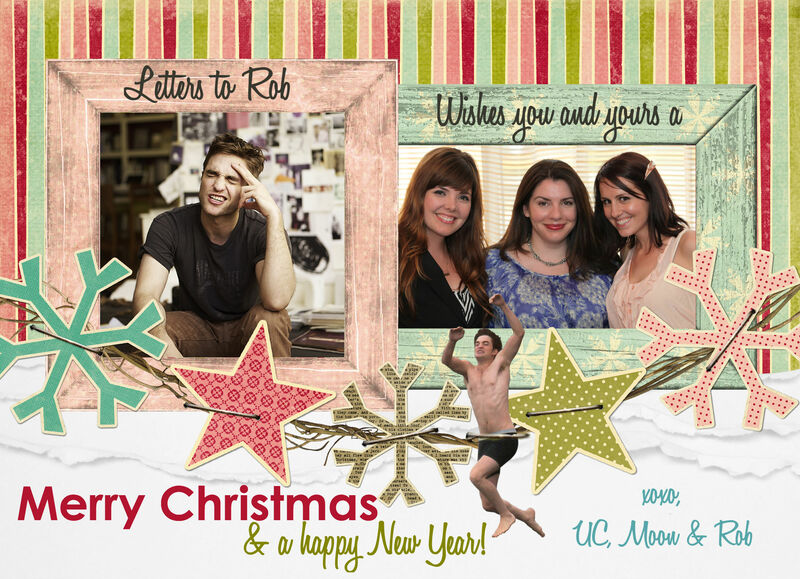 Merry Christmas Eve from LTR and Rob! Let’s join together to wish our awesome readers and your fans a VERY MERRY STUPENDOUS WONDERFUL PEACEFUL RELAXING and SUPER DE DOOPER CHRISTMAS EVE and CHRISTMAS (tomorrow!). What do you say? We wish you the very best this Christmas and in the new year 2011! Still can’t believe all that happened in 2010 but we can’t wait to see what this next year holds for all of us! Enjoy your holidays whatever you celebrate and hold your loved ones, friends, family, fellow commenters, online soul mates and all the rest close. PS Rob says to tell you he really means it. He loves you A LOT. Like… a lot, a lot. Need a little laugh today? Follow the jumping Rob to watch the Christmas edition of Robert Pattinson is bothered from Jimmy Fallon! With filming starting for Breaking Dawn, there’s definitely been a buzz in the fandom again (no, not enough to tempt us to post Letters daily again, sorry!) and we’ve had an influx of emails, news bits & fun things we want to share occasionally on our “off” days! So to start, with the holidays coming up, we have many Rob & Twilight-themed ideas to bring you much holiday cheer- like today’s special deal. Remember our friend at Lobotome? She made that Edward Cullen notepad you keep stashed in your purse so you can doodle on Robward during traffic. Well, those notepads are 50% off through the end of the month. And as the holidays creep closer & closer, we’re looking for more shops to feature! Do you or someone you know have a shop or company you want to advertise? We have many options such as ads or contest & give-away sponsors, so contact us today if you or someone you know might be interested! !